University of Alabama undergrad Alexus Cumbie has found a way to marry her two loves: poetry and politics. “I never perform anyone else’s poetry, but I have performed the pain that someone has felt before,” she said. Cumbie, 20, addresses issues that include racial injustice, sexual assault, depression, anxiety, and black trauma—“aspects that can be hard to talk about, she said”—through her poetry. Her political side has her considering a future run for elected office, and she hasn’t ruled out mayor of Birmingham. “People always joke and say that,” said Cumbie, who believes Birmingham is in the midst of a cultural rebirth. “There’s more support for art than we have had in a long time, so I want to help Birmingham not just for now but to lay infrastructure down for generations after us,” she said. “That starts with increasing literacy rates, investing in educational reform, and funding art programs. All of that is politics and being a political person. I have no issue with politicking in Birmingham. 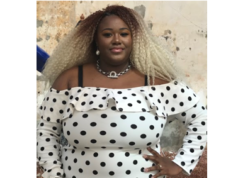 Cumbie has already laid the groundwork for her political career by interning in the U.S. House of Representatives with Congresswoman Terri Sewell, D-Ala.
“I [researched] legislation, attended meetings with constituents beside the congresswoman . . . attended briefings held by congressmen and Capitol Hill staff, wrote daily press briefs about the congresswoman and gave constituents tours of the U.S. Capitol,” she said in an interview at UA’s Division of Student Life Career Center. Cumbie said she also got a chance to meet politicians such as John Lewis, Maxine Waters, Nancy Pelosi, Kamala Harris, and other trailblazers in government. In 2016, Cumbie founded Birmingham’s Literary Vibes, an organization dedicated to increasing literacy rates in low socioeconomic communities in the Birmingham area through the use of poetry, public speaking critique, and fundraising from open mics featuring local artists and musicians. 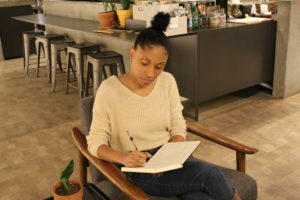 Literary Vibes gives students the opportunity to have a voice—“A stage, a sanctuary, and a space to just be themselves,” she said, adding that mentoring and literacy are key elements of the program. The ages of the children she works with depends on where she offers her services. Sometimes they are 5 or 6 and the focus is more on teaching them how to read. When it comes to poetry, she sometimes works with middle schoolers, but her main poetry students are high schoolers. Poetry and writing serve as a release to help her “understand the life around her,” Cumbie said, as well as help the audience understand, making it a dual relationship. “That was an extremely raw poem,” she added. Cumbie is the youngest child in her family: she has two older brothers and four older sisters. 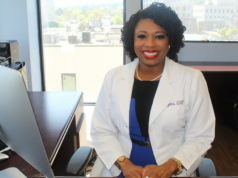 She attended the Jefferson County International Baccalaureate School (JCIB), which is on the campus of Shades Valley High School. 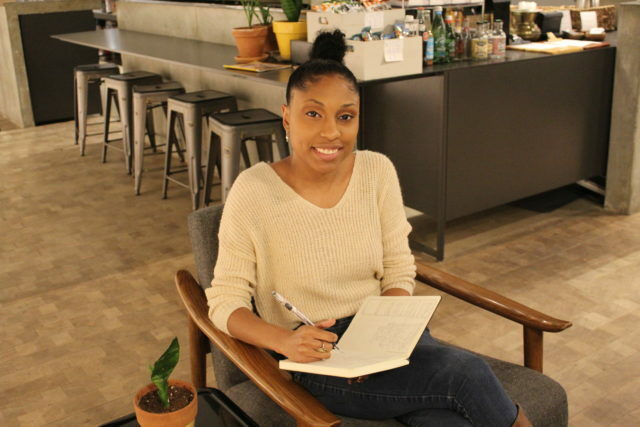 Her love for poetry may have begun when she started as a rapper during her middle school years, when she was a student at the William James Christian School. Cumbie and her friends would make up rhymes or participate in cyphers, informal gatherings of hip-hop performers, in the back of their classroom. She transitioned into poetry around her sophomore year in high school and believes her rap skills helped with her poetry and vice versa. During her senior year of high school, Cumbie said she wanted to compete in a poetry contest. “A lot of people in my inner circle had never seen me perform because I was traveling and performing, so I was like, ‘I need to do something for my Birmingham community as a senior send-off,” she said. To hone both her poetry and writing skills, Cumbie has written for FRL (Freelancer) magazine, a publication that highlights University of Alabama students engaged in positive activities. Cumbie wrote a small poetry column for FRL but has recently taken a hiatus to focus on writing a book of poetry, something she has been thinking about doing since her sophomore year of high school. 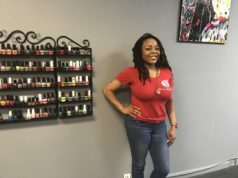 She got the courage to start after a friend told her to do it now because she might not be able to do so as she progresses through law school.